Description: Pittencrieff Park was bought by Andrew Carnegie for the people of Dunfermline and is one of the finest public parks in Scotland. 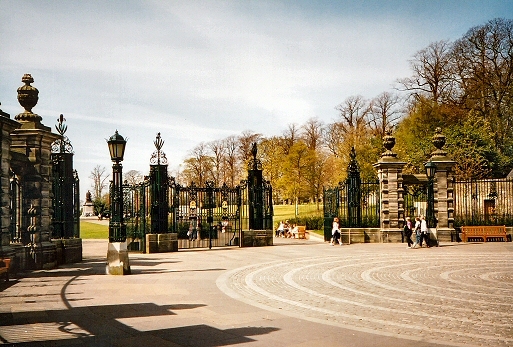 This view shows the Louise Carnegie gates which mark the entrance of the park from Dunfermline High Street. 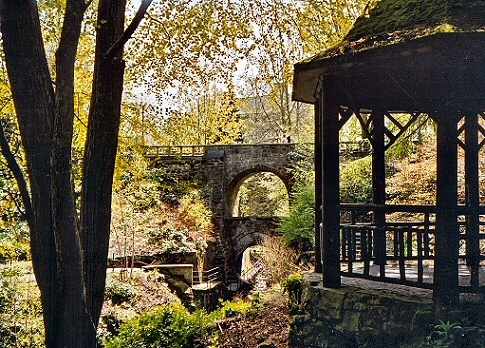 Description: This view shows the glen which passes through the park with its many bridges and walks.